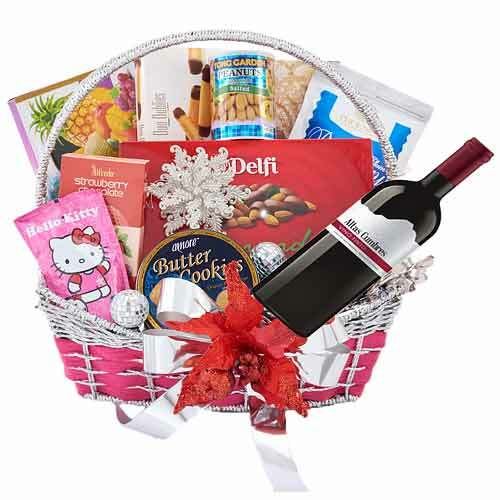 Product description: Greet your dear ones with this Welcoming Sensual Delight Wine Gift Basket and make them feel special, loved and lucky. A delicious Hamper filled to the brim with tea time treats like Marina Espumante Brut (Net Weight-750 ml. 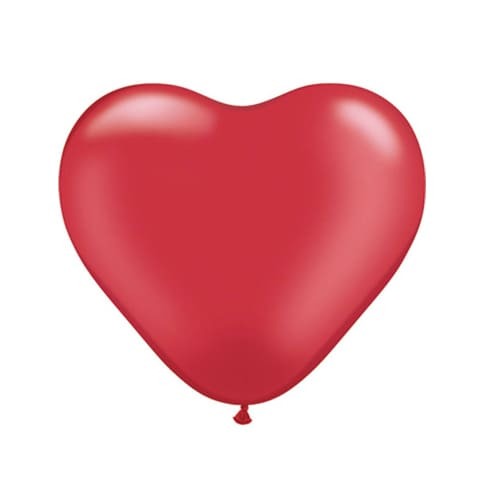 ), Hello Kitty Apple Blackcurrant (Net Weight-200 ml. ), Delfi Almonds Milk Chocolate (Net Weight-180 g), Alfredo Strawberry Chocolate (Net Weight-70 g), Forum Belgian Biscuits Duo Oublies (Net Weight-125 g), Amore Butter Cookies (Net Weight-150 g), Tong Garden Peanuts Salted (Net Weight-150 g), Ama Taro Groundnuts (Net Weight-180 g), Phoenix Blueberry Plum (Net Weight-90 g) and Da San Yuan Mixed Fruit Candy (Net Weight-120 g). These all products are put together in a Decorated Festive Basket. 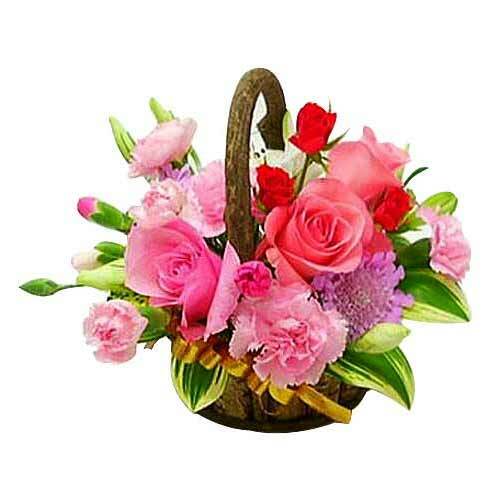 Impress the person you admire by gifting this Gorgeous Pink Flower Fest of Mixed Pink Flowers in an Attractive Bouquet and sweep them off their feet. (Basket arrangement depends on local availability). 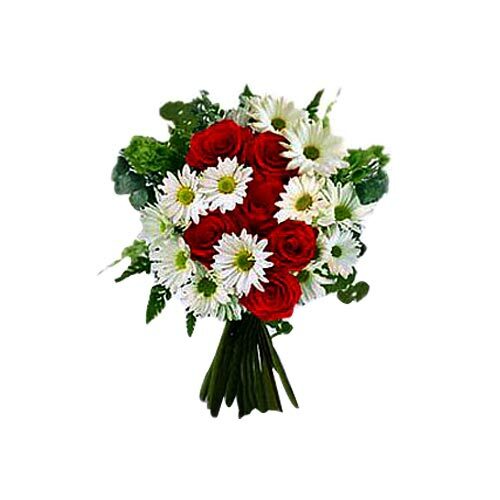 Astonish your friends and family by bringing to your celebration, this European Mixed Flowers Garden and show your class of choice. 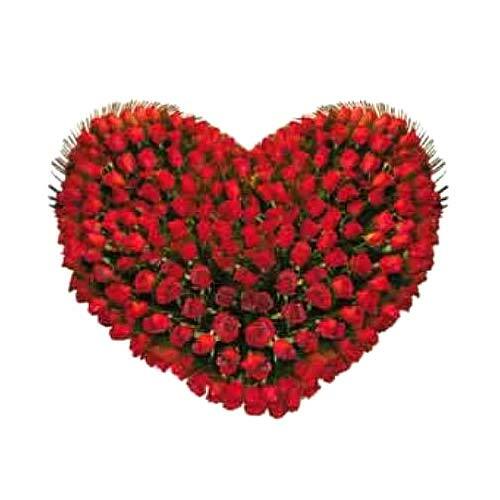 Create Place for yourself in someone Specials heart by sending this Heart shaped bouquet of lustrous 100 Red Roses ornamented with slight greens. 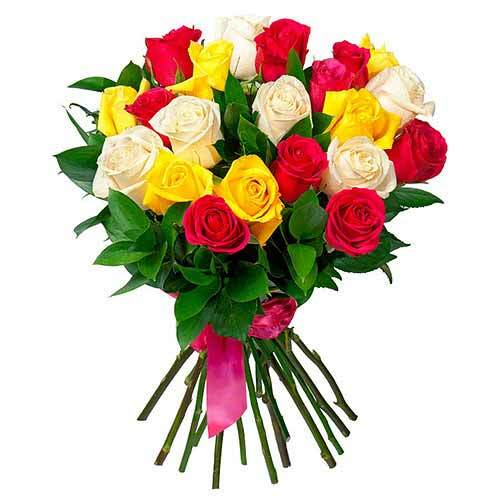 Reflect the beam of your love into the lives of your dear ones by sending them this Sweet 12 Multi Color Rose Bouquet on Valentines Day that is appropriate for making any special event in their life grander. 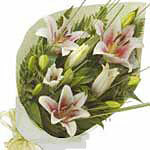 Conquer the hearts of the people you love by sending them this Glimpse of Lilies that is sure to amaze them and fill their hearts with happiness. 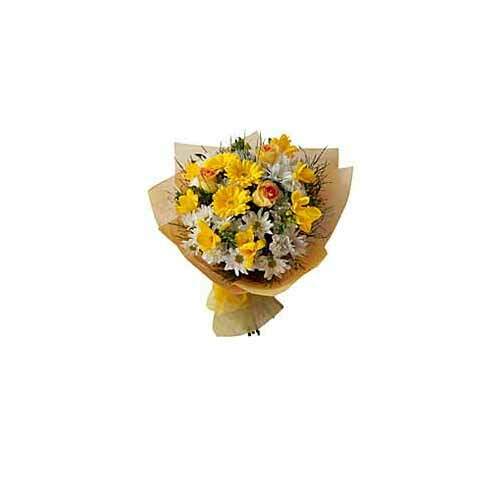 Gift your beloved a moment to cherish by sending him/her this Aromatic Wonders that ties the strings connecting your hearts more strongly.